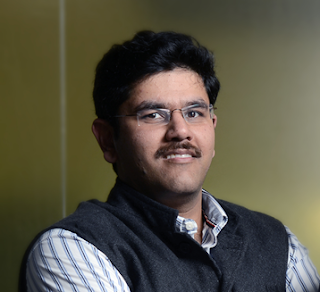 CEO and Co-Founder of GreyOrange, Samay Kohli will be speaking on the relationship between intelligent robotics, flexible automation and the future at the Council of Supply Chain Management Professionals (CSCMP) Annual Global Conference and Exhibition EDGE 2018 on October 2nd. The conference gathers logistics and supply chain professionals and will be held in Nashville, Tennessee. Today’s modern supply chains face increasing complexities such as omnichannel distribution, unpredictable demand, increasing numbers of SKUs, controlling costs, express delivery requirements and manpower challenges. Current automation solutions are inadequate to meet business needs, positioning flexible automation by companies such as GreyOrange as the choice to solve these issues. 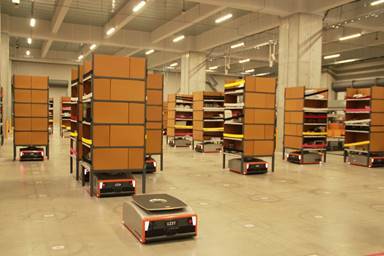 The global leader in AI-powered robotics systems for flexible automation across fulfillment centers, GreyOrange, unites a new generation of technology and methods that opens up tremendous opportunities in supply chain automation. Its intelligent software, GreyMatterTM combines with modular and connected equipment in collaborative operations to deliver a compelling business case with high returns on automation investment. In his session, Samay will discuss how each component of a supply chain, from factory floors to fulfillment centers, can shift from rigid automation to flexible automation, becoming more adaptable and scalable. Order fulfillment can be maximized by using the newest intelligent robotics systems which optimize machine learning and artificial intelligence(AI). These collaborate with human operators to improve warehouse productivity by two to five times. At its first client site in the U.S. GreyOrange is presently deploying 740 ButlerTM robots to fulfill orders in e-commerce, fashion and consumer electronics. Thereafter, an additional20,000 Butlers will be deployed throughout sites in North America. The GreyOrange ButlerTM goods-to-person robotics solutions uses an AI-first approach to optimize supply chain processes from inventory storage and replenishment to order picking. The Butler PickPalTM combines AI and machine learning to revolutionize high-speed automated fulfilment, working in tandem with the Butler to accelerate the pick process in fulfillment centers.